Nothing good can come out of failing to take a medication as prescribed. As former Surgeon General C. Everett Koop said, "Drugs don’t work in patients who don't take them." And yet as many as half of the roughly 187 million patients in the United States who take one or more prescriptions do just that, according to a National Council on Patient Information and Education report. Such shortcomings in medication compliance can have significant, negative effects on patient outcomes. The World Health Organization estimating that 125,000 people with treatable ailments die annually in the United States because they do not take their medication properly. There are several ways patients can take their medication improperly, including never taking the medication, failing to take the medication on schedule (increased or decreased frequency), and failing to take the prescribed dose (increased or decreased quantity). It's up to providers to take steps to help address these shortcomings and better ensure patients take their medications as prescribed, ultimately improving safety and outcomes. If a patient doesn't appreciate the importance of taking a prescription, it can be easy to skip the medication. Explain why the medication is necessary in as much detail as possible. Talk about what specific problem(s) the medication is intended to address and what may/will happen if the medication is not taken as prescribed. 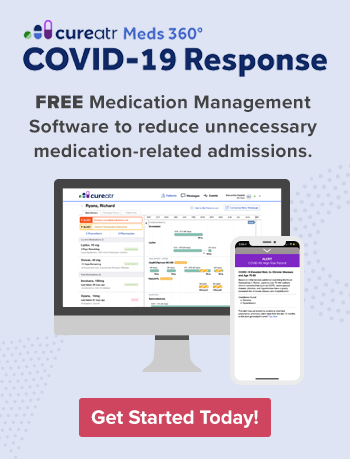 Detrimental changes to a medication regimen can occur when patients lack the understanding of why they should take a medication or struggle to follow a prescription's directions. Patients should not leave an appointment where they received a new prescription without acknowledging that they understand why a treatment is recommended and what they need to do to properly follow the regimen. Patients who don't like the way they feel, look, or react after taking a medication are more likely to modify the regimen. Explore whether other medications can help counteract the side effects or if modifying the regimen can have a similar impact. Sometimes patients simply forget when they need to take their prescriptions. This is more common in older patients, patients who take several prescriptions and with requirements at different times of day, and patients who live very active lives, which can interfere with routines that help improve compliance. Not all patients will have consistent access to transportation services or may not want to use transportation services available to them. Before patients leave your facility, make sure they have the means to get to a pharmacy in a timely manner (to begin taking their medication as prescribed). If they do not, explore options such as pharmacies that deliver or a mail-order service. Some patients may not want other people to know they are taking medications. They may want to avoid the pressure of explaining their diagnosis if asked about it or being perceived as weak or vulnerable. If such patients are around people when it's time to take their medications, they may choose to skip or delay the medication. This can eventually become a dangerous habit. While talking through concerns and explaining that many people take prescriptions can help alleviate concerns, don't assume this will fully address patient anxieties. 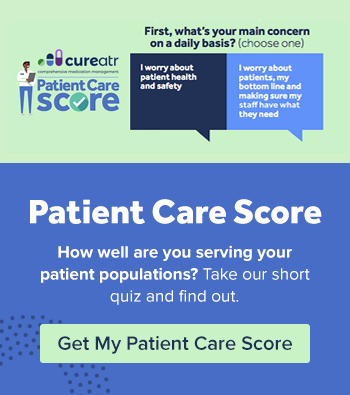 Determine where patients will typically be when they need to take their prescriptions and whether they can access a private area that won't raise awareness (e.g., bathroom). Recommend they take a water bottle or collapsible cup when they leave their home. A little planning can help patients keep their medication regimen private and maintain compliance.